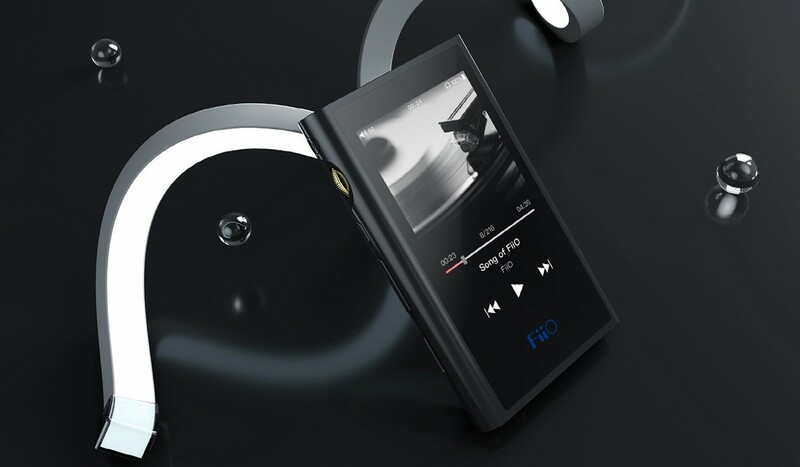 FiiO M9 Portable High-Resolution Audio Player is the ultimate in versatility. The M9 uses Bluetooth 4.2 and supports virtually all Bluetooth formats including the high-resolution ones for your ultimate listening pleasure, including: 24-bit aptX HD (also backwards compatible with aptX), LDAC, and HWA. The two AK4490EN DACs employed in the M9 feature a high signal-to-noise ratio, exceptional dynamic range, and low distortion – making for a precise yet exciting sound signature. Inside the M9 is a high-performance A3P030 FPGA, responsible for ensuring your music (whatever sample rate) is played back accurately by stabilizing digital clock signals. The FPGA also decodes DSD64/128 in hardware, which the M9 supports in ISO/DFF/DSF formats. For the first time, in the M9 FiiO uses an eight-layer HDI (High Density Interconnect) PCB with a thickness of only 0.08mm. While the M9 PCB is more complex than the one in the M7, it also allows more components to be integrated into a smaller space, leading to a smaller PCB and a smaller device overall. Combined with the fact that the M9 PCB is L-shaped, similar to modern smartphones, and you have a recipe for outstanding sound quality. The TI OPA1612 is used as the LPF, while the TI OPA1622 serves as the current buffer. To achieve single-ended and balanced output, there are two OPA1622 op-amps used that provide up to 77mW of power under a 300O load. With the M9, you can get your music from wherever, whenever. Don't want to deal with wires when transferring your songs over? Use Wi-Fi on the M9. Want to listen to your music on your computer? Do so with DLNA without having to worry about space on the M9. Want to discover new music on streaming services? The built-in streaming apps have you covered. Under normal usage the M9 can last around 10 hours, while in deep sleep (standby) mode the M9 can be still be used after a whopping 45 days! And being in deep sleep mode does not mean sacrificing convenience – just hit the power button, and the M9 instantly is ready to go. The M9 contains both single-ended 3.5mm and balanced 2.5mm audio jacks, for even more ways to listen with your headphones. The M9 also supports in-line controls in both CTIA (common with Android headsets) and iOS headsets. (With iOS headsets, only play/pause functionality is supported). Unique to the FiiO M9 is RGB light indicator status that shows what audio format you are listening to! Instantly know what audio format your M9 is playing as well as its overall status, with the indicator status showing red to remind you to charge your device. The M9 can be used as an asynchronous USB DAC with both Macs and Windows PCs. With Mac computers, you can just plug-and-play the M9 with no drivers needed. 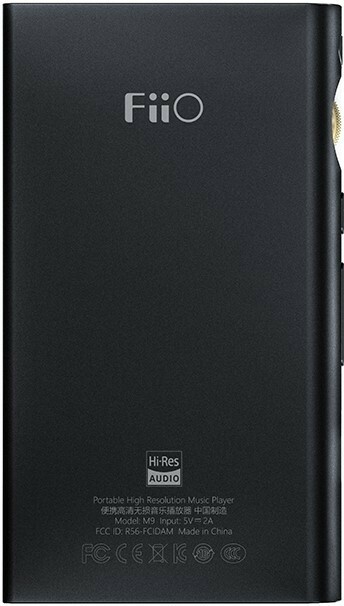 With Windows PCs, a simple install of drivers by FiiO is needed. The M9 can also act as your computer's Bluetooth transmitter – simply hook the M9 up to your computer as a USB DAC, and then have the player transmit Bluetooth audio to your headset! M9 supports USB audio out (send digital audio bits through USB), with even support for DoP/D2P. Also, the M9 is one of the few players that can receive Bluetooth audio and output it through coaxial (SPDIF) out. 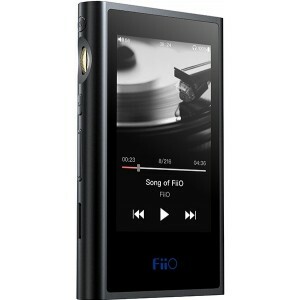 In the heart of the M9 lies the Android operating system, deeply customized by FiiO. This allows you to navigate through menus at an astonishing speed and with amazing ease due to the carefully thought out customized user interface. Also, apps for popular streaming services including NetEase Cloud Music, MOOV, Tidal and KKBOX are pre-installed to allow even more ways to listen to music. M9 comes with a healthy 2GB of storage, but the storage can be expanded up to a massive 2TB with micro-SD card! The all-aluminum body tastefully combines both straight and rounded edges in an unmistakably unique design, with the gentle curve of the left side naturally transitioning to the bold straight lines of the right side. Despite its beautiful form, the M9 doesn't sacrifice functionality – the volume wheel has been upgraded for more accurate control and a better, more tactile feel; while the power, play/pause, and change tracks buttons on the left have been arranged for even greater comfort in using the player. Adorning the front of the M9 is a vibrant, clear 3.2 inch IPS screen capable of 16 million colors and supporting 5-point touch. This IPS screen allows you to easily operate your device with its ability to show even the finest of details. The M9 has been certified by the Japan Audio Society to be “Hi-Res Audio” worthy, only achieved by devices truly capable of bringing a realistic and natural audio experience.